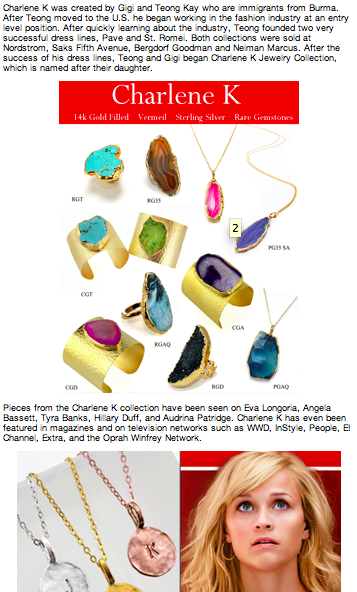 Excited to see Charlene K Jewelry featured on FashionMunster.com online fashion magazine! Charlene K is the perfect Valentines day gift! FashionMunster.com has been promoted by celebrities like Kim Kardashian, Bam Margera, Rachel Zoe and many more!